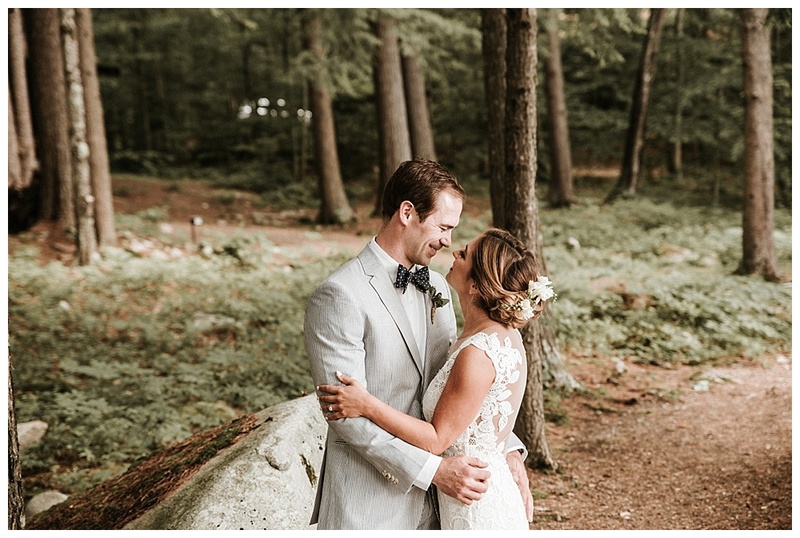 Juliana and Erik are extraordinary people and I have felt very lucky to be a part of their Maine destination wedding planning and execution. 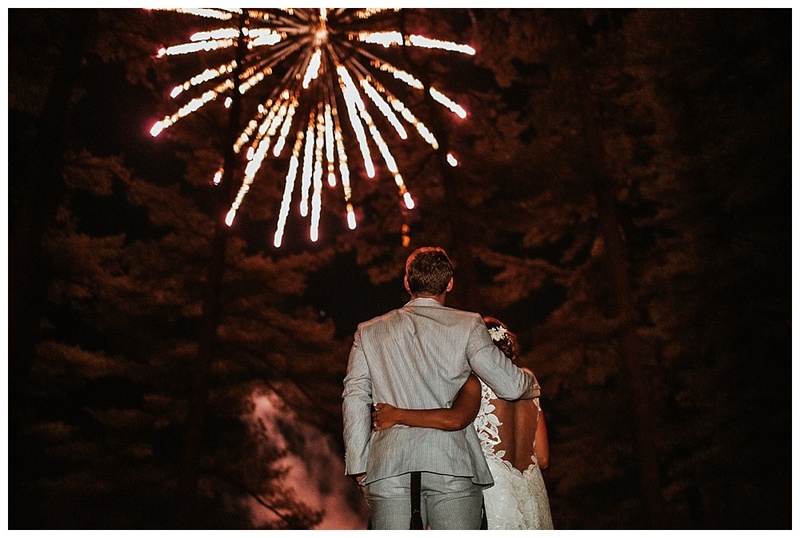 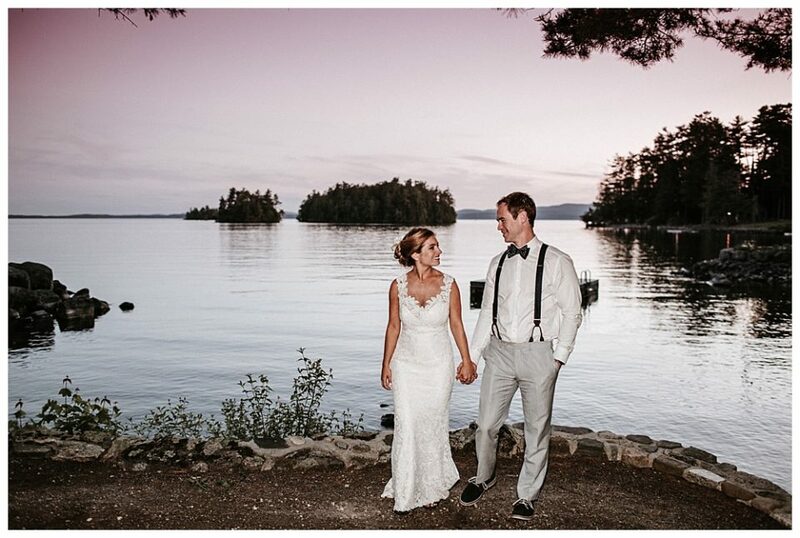 They choose one of the very best venues in Maine–Migis Lodge is truly a luxury resort. 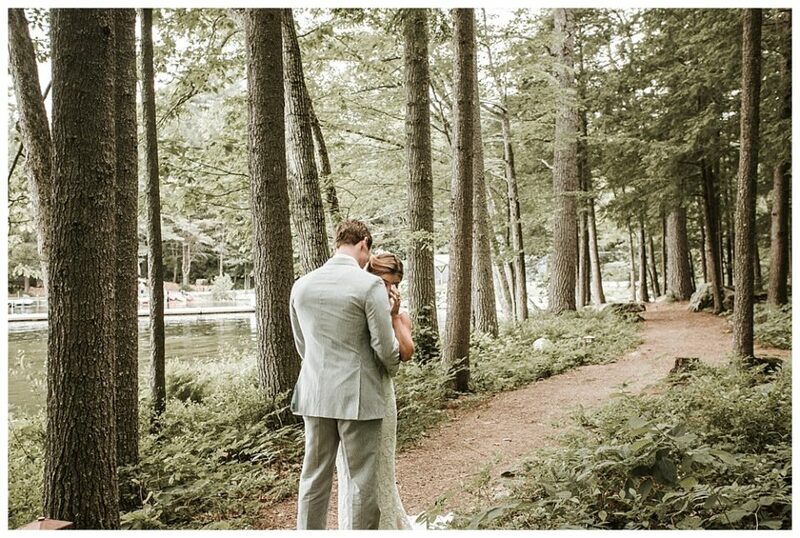 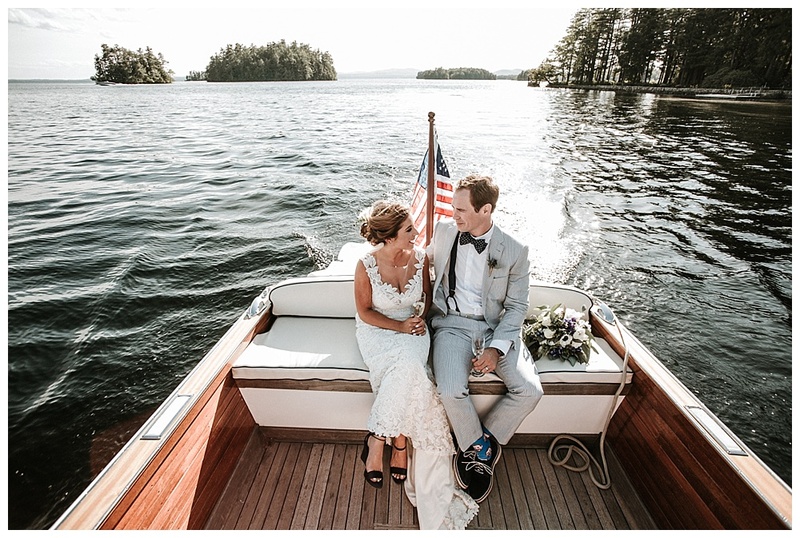 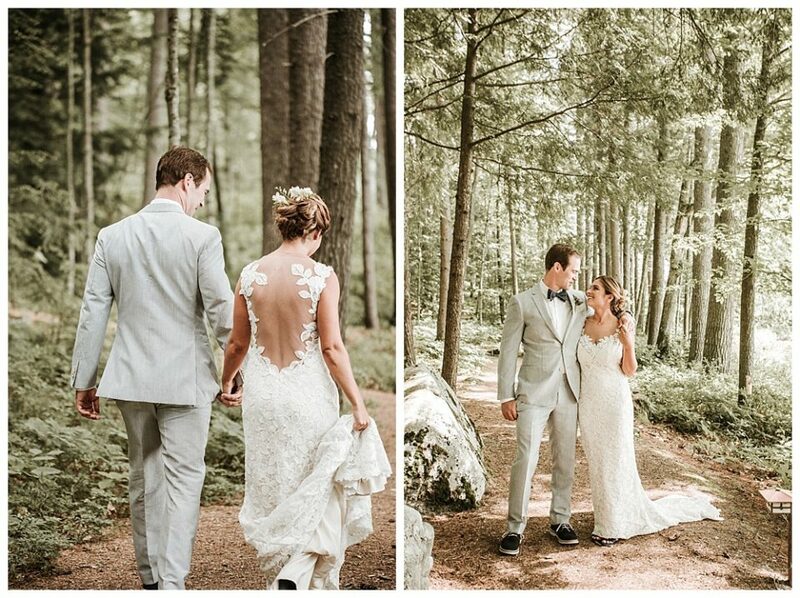 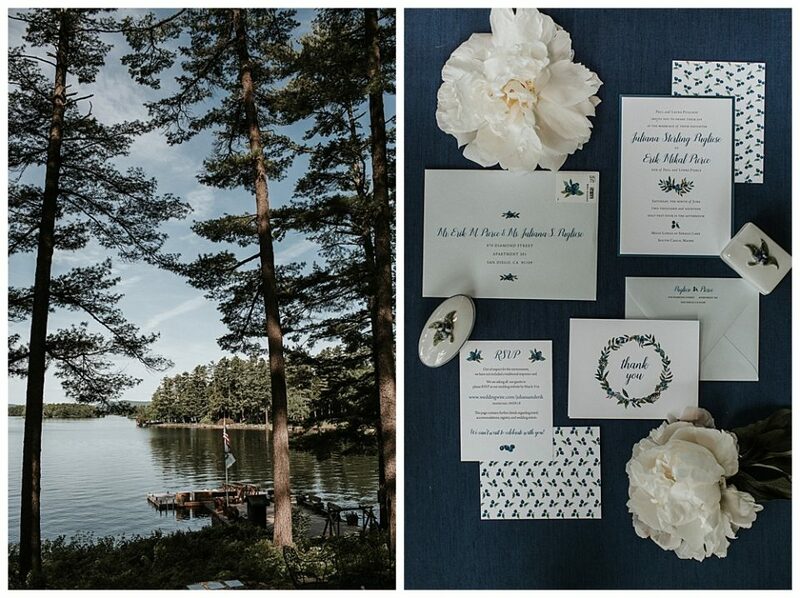 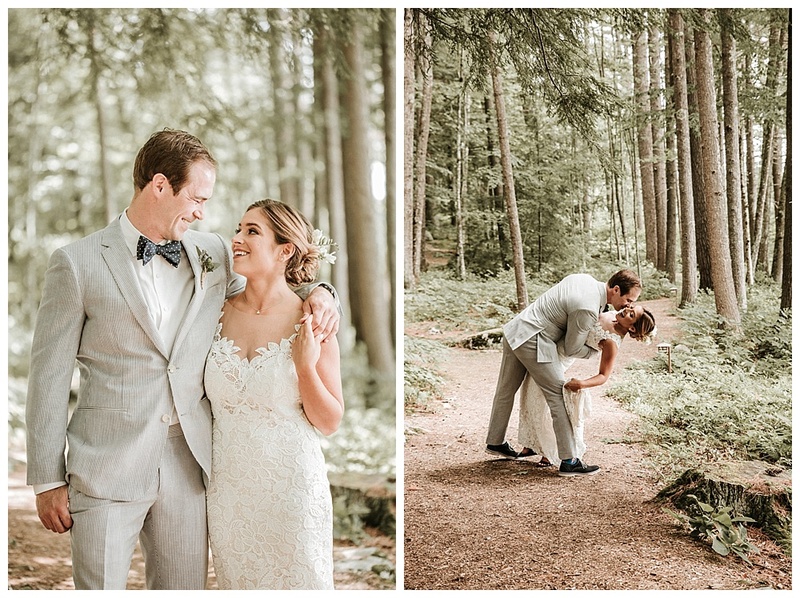 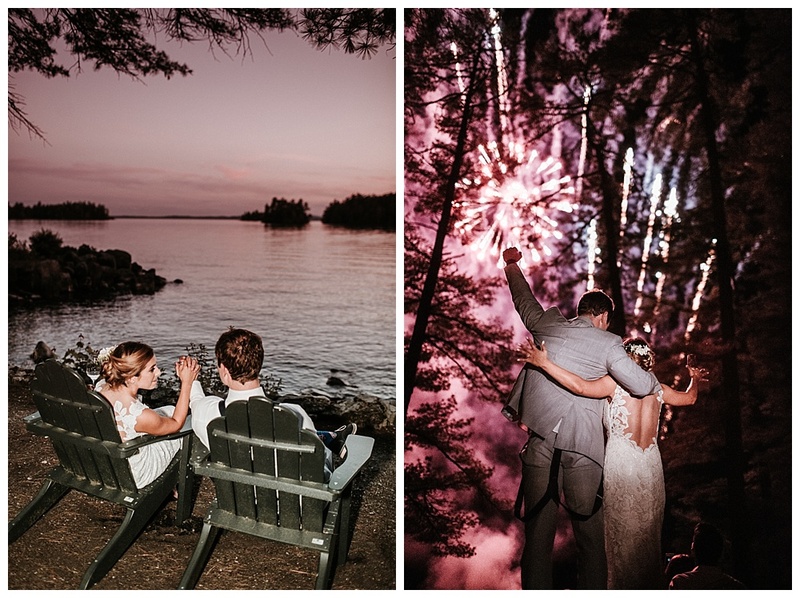 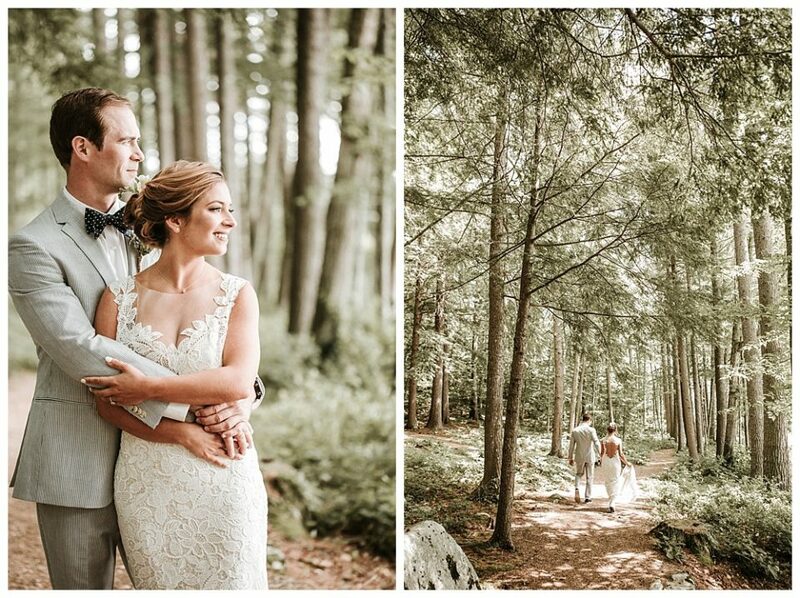 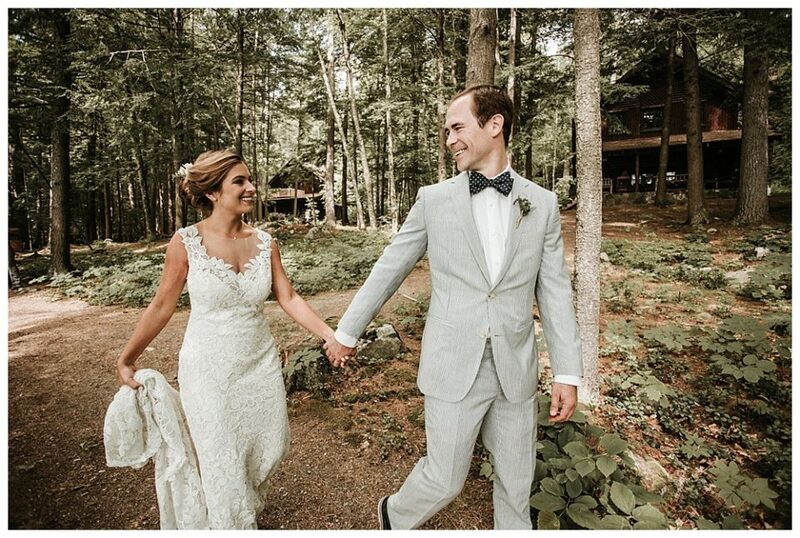 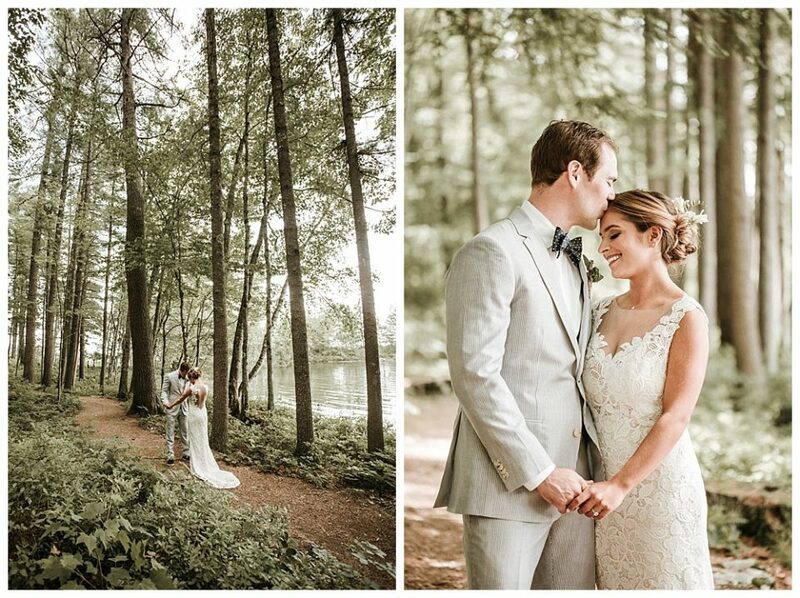 The staff at Migis Lodge are the best and make sure you have a magical lakeside experience complete with arriving at the ceremony by boat and then exchanging vows under the pines with Sebago Lake and Western Maine’s mountains in the background. 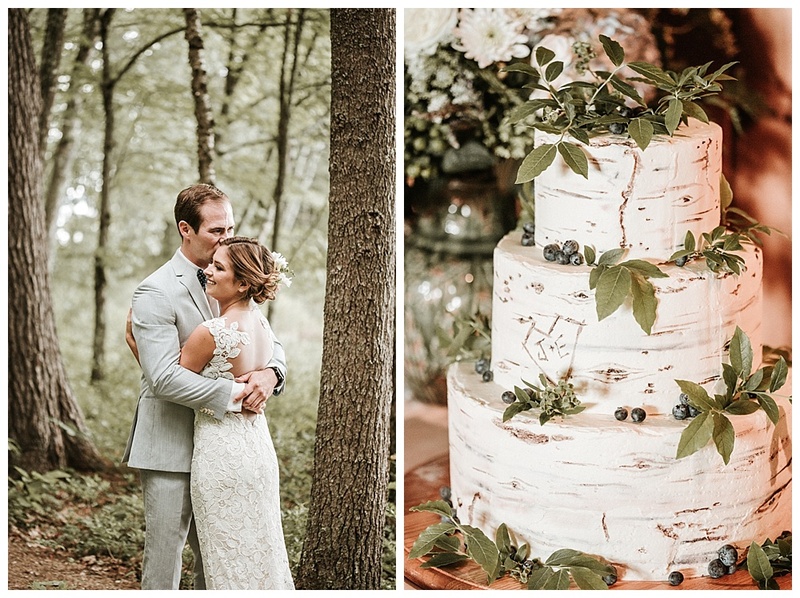 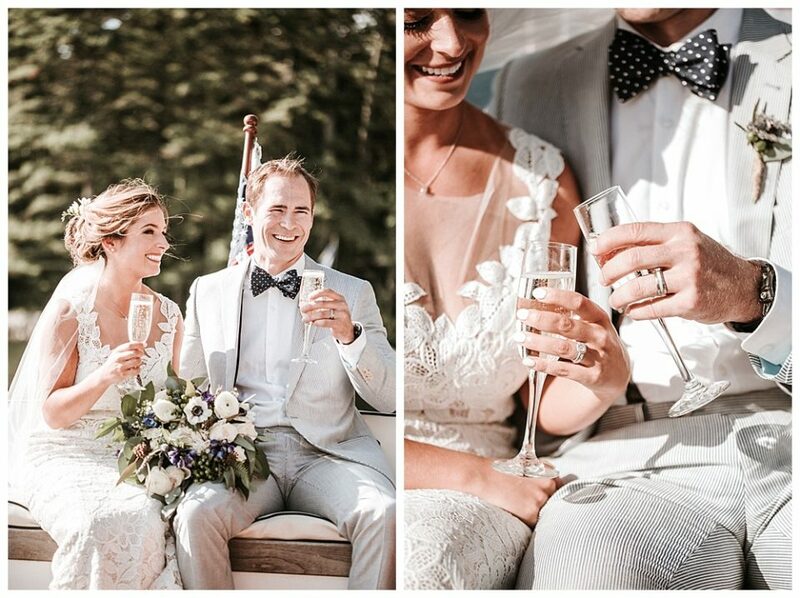 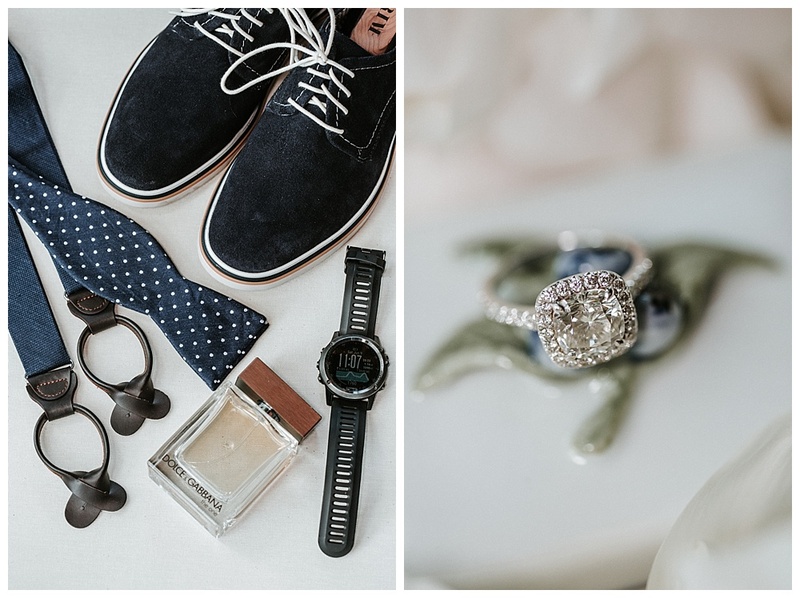 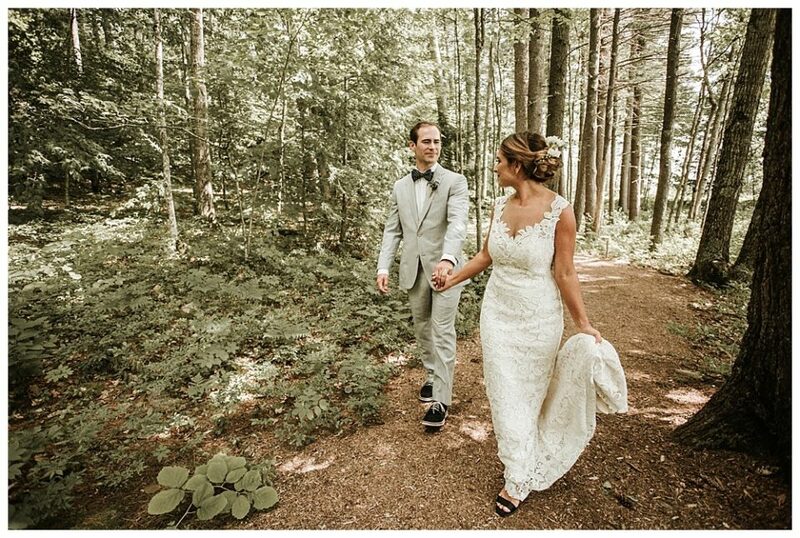 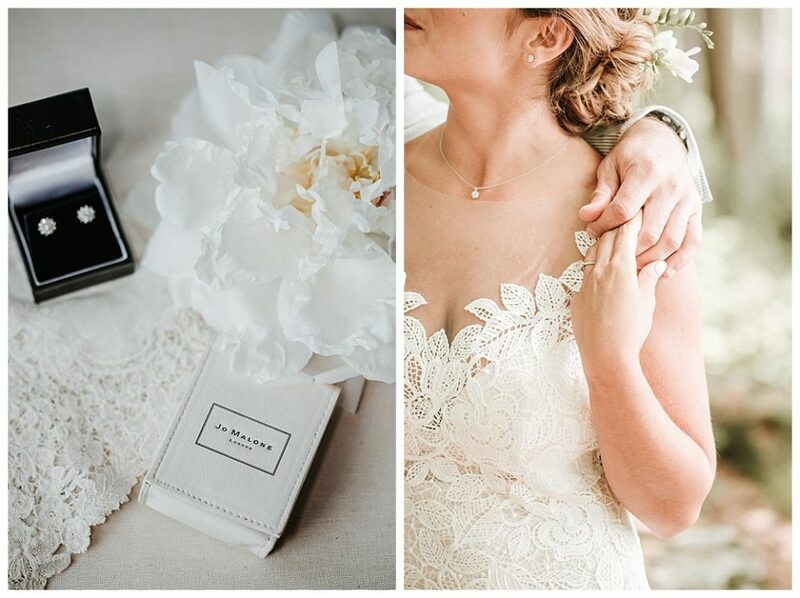 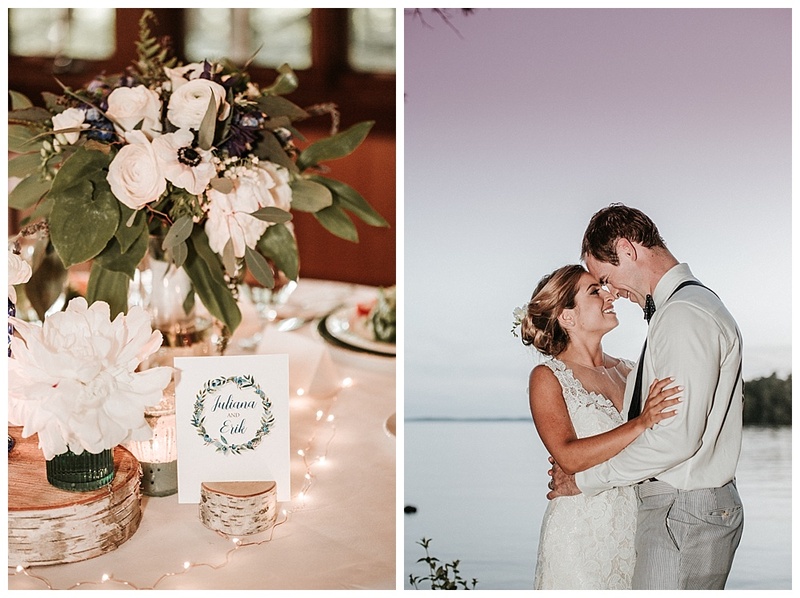 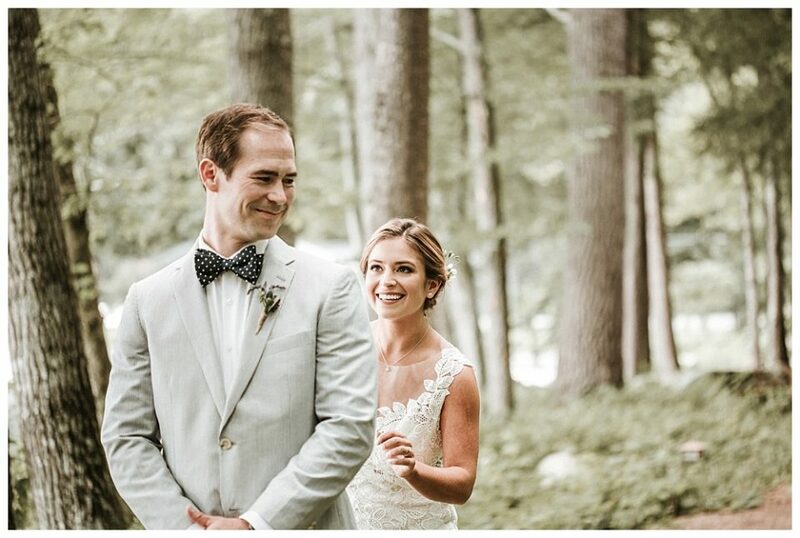 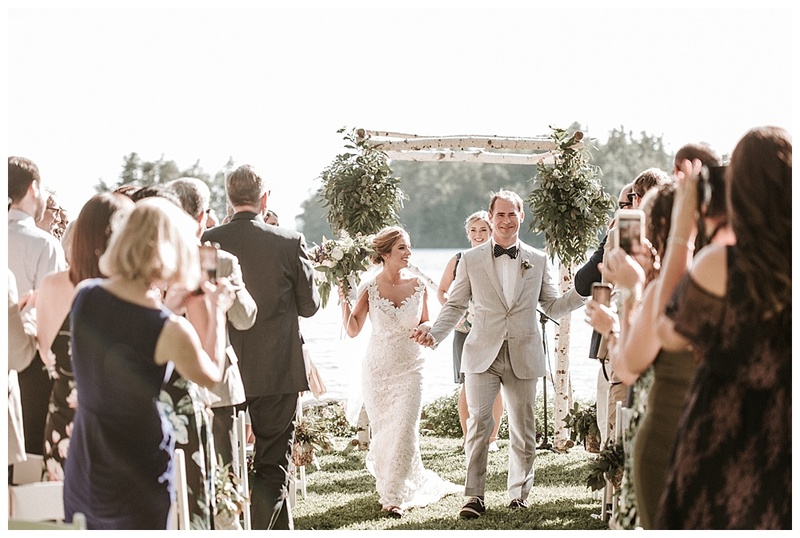 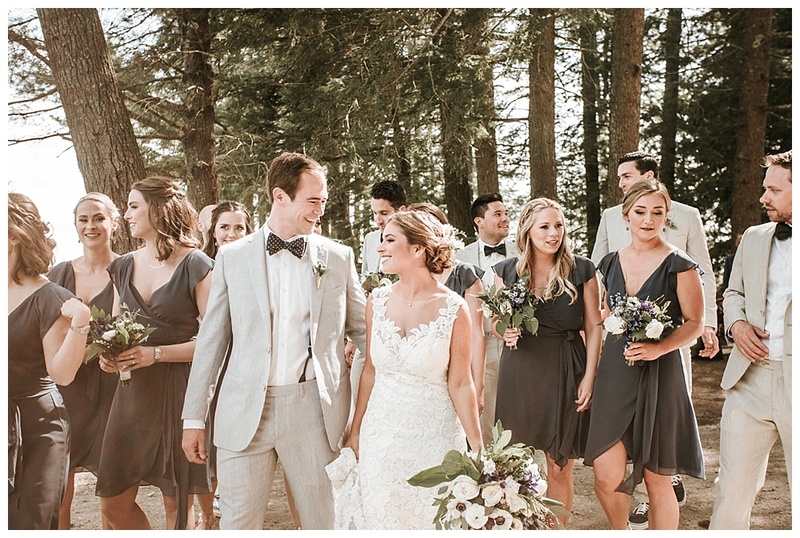 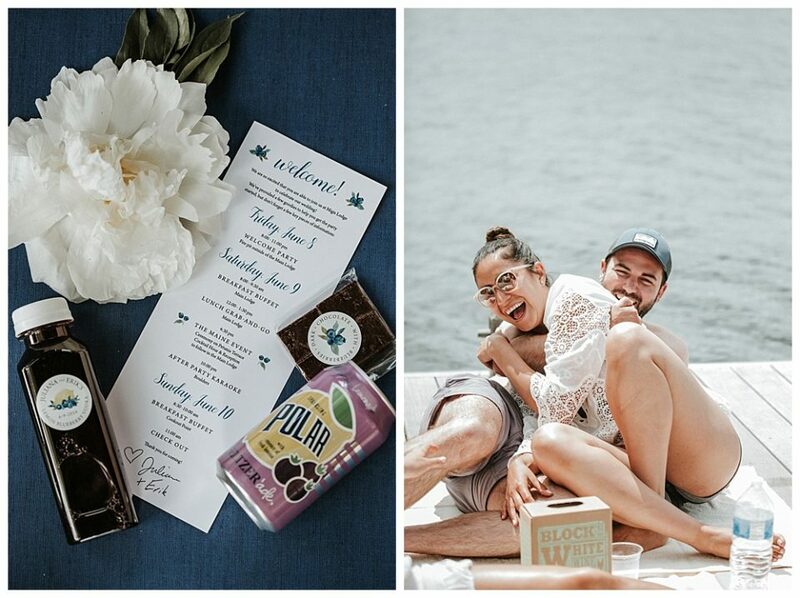 Juliana and Erik made sure their family and friends could be a part of Maine’s relaxing lakeside vibe while still having a formal elegant affair. 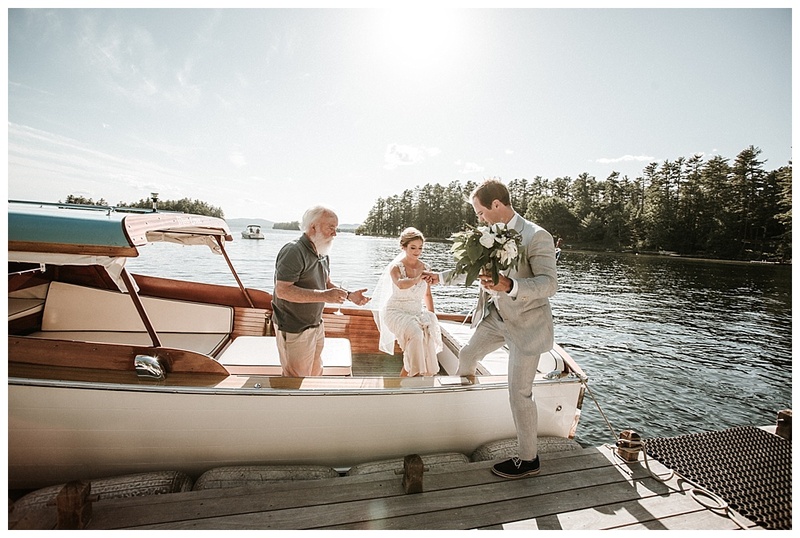 As I walked around the grounds that day I photographed the groom enjoying swimming at the dock with friends, people paddle boarding, kayaking, boating, and playing games. 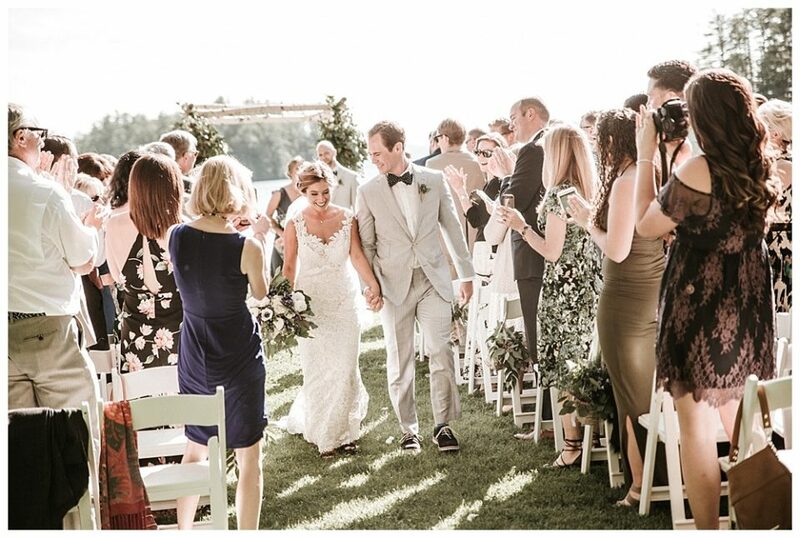 It was a weekend-long event and hosted people from all over the country. 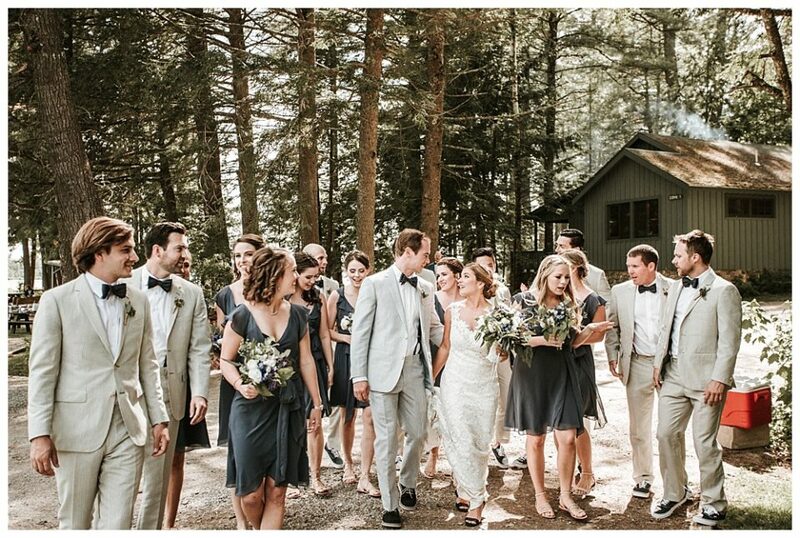 Many of them agree that they will have to come back to visit Maine for some more lakeside and Portland Maine fun. 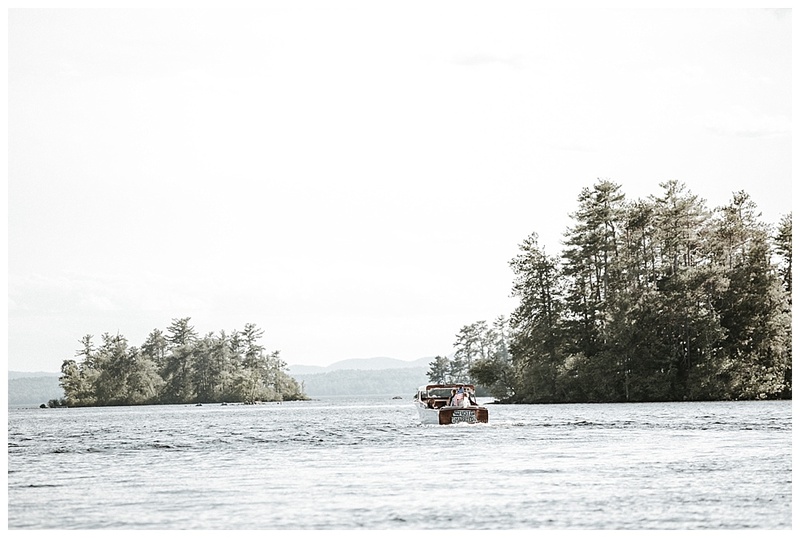 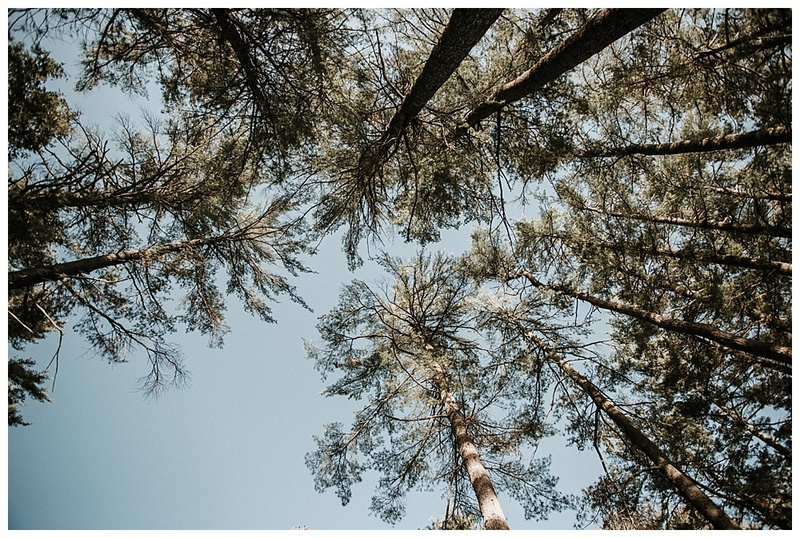 It is just a gorgeous place for a wedding and it has everything….lobster bakes, fire pits, luxury cabins. 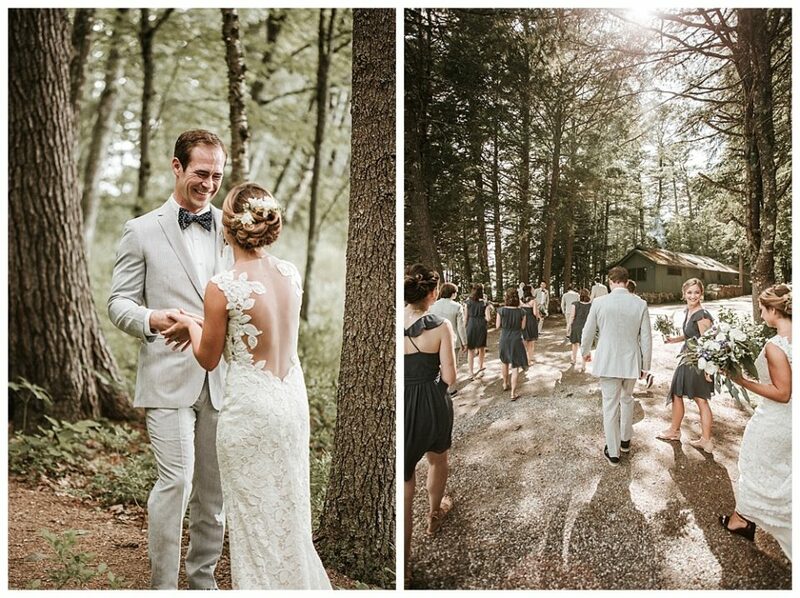 A perfect place for a wedding with 150 of your closest family and friends. 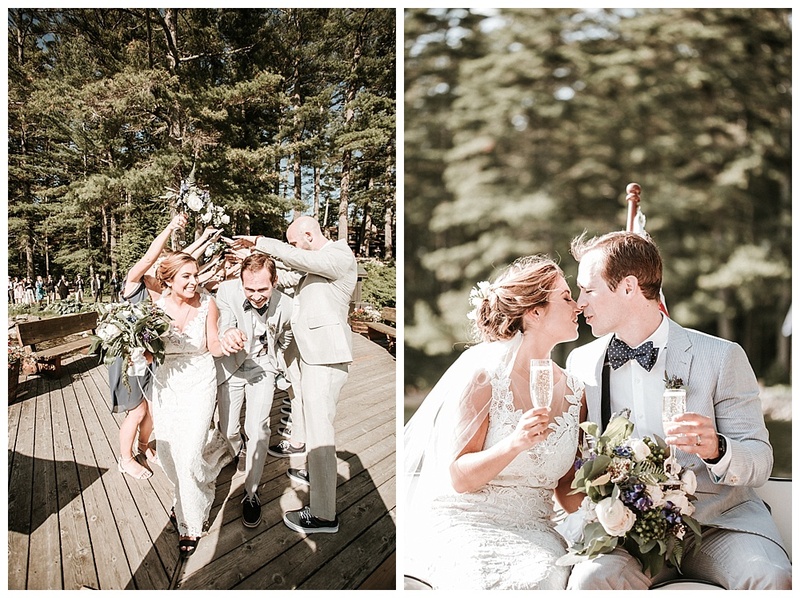 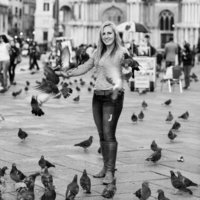 As a testament to Juliana and Erik, their friends raved about them–about how much fun they are, about how giving they are, and about how caring they are making time for everyone. 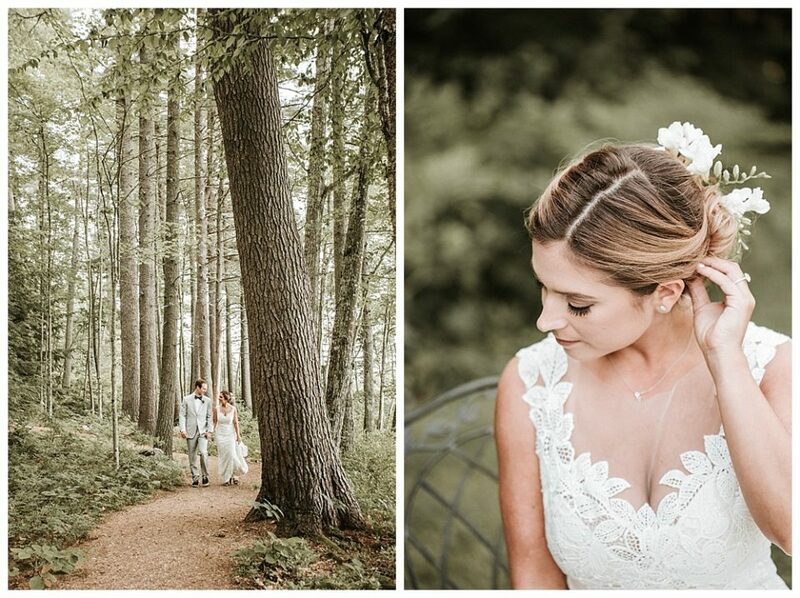 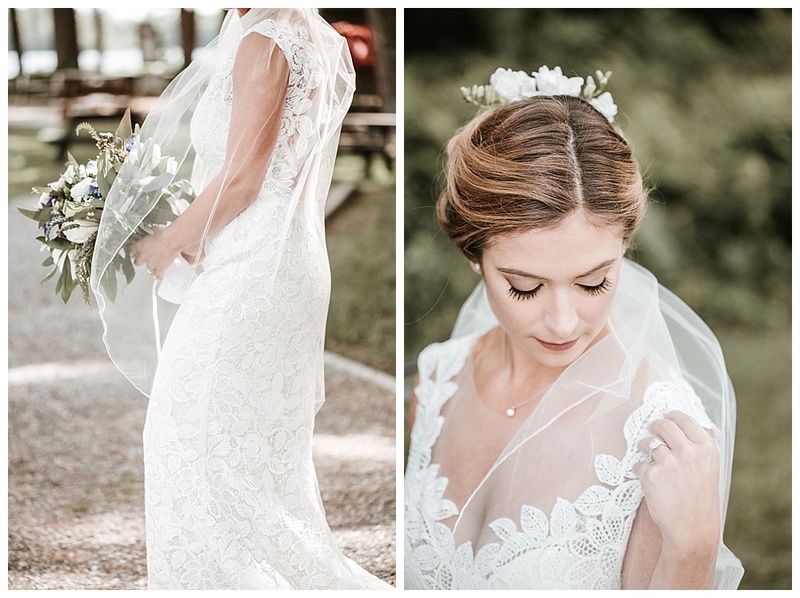 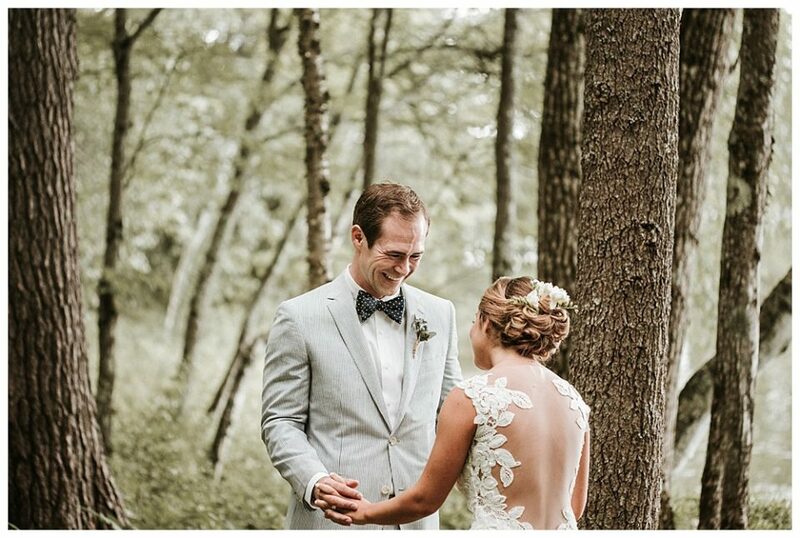 Some of my favorite parts of the wedding were….getting Juliana in her dress (she was stunning), the first look under the pines, the boat ride after the wedding, the maid of honor toast, the band with dancing, fireworks, and of course the “icing”. 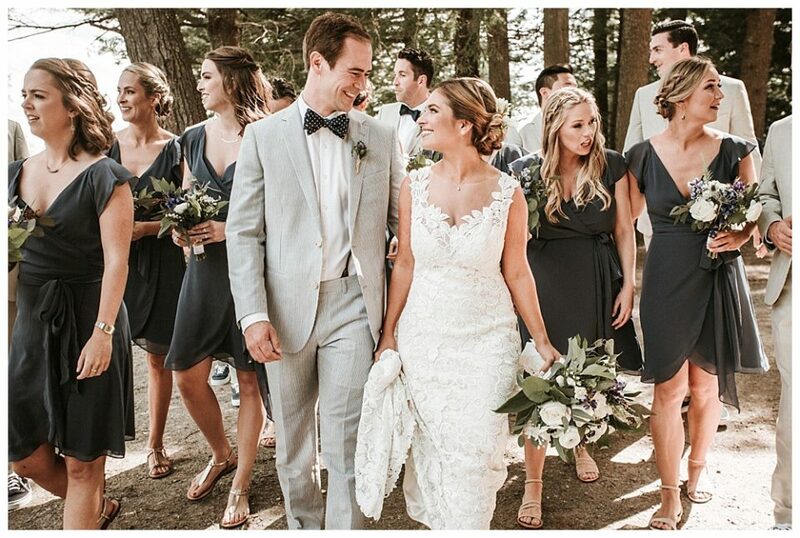 These two couldn’t be any more fit for each other and they couldn’t have planned a better wedding. 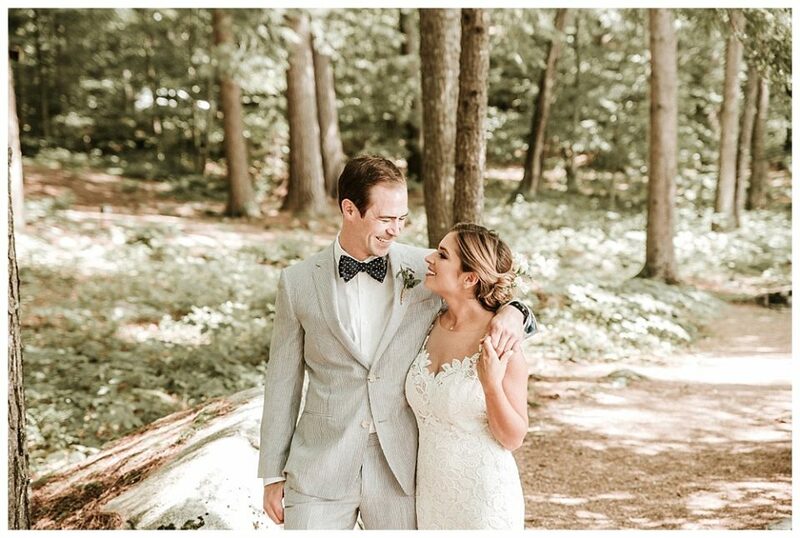 I cannot wait to see what life brings them–wishing them the best with their move and Juliana’s start to her graduate program!